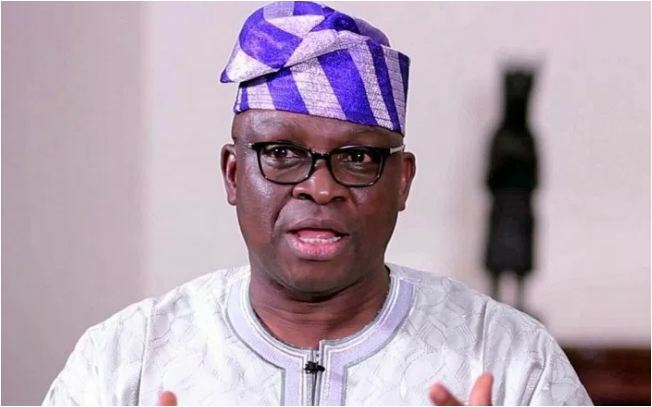 Ekiti State Governor, Chief Ayodele Fayose, has said the Federal Government lacks the power to suspend or abrogate the Anti-grazing Law enacted by the state government to prohibit open grazing of cattle in the state. The governor stated this in Ado-Ekiti on Wednesday through his Chief Press Secretary, Mr Idowu Adelusi, while reacting to a statement credited to the Minister of Defence that the application of the law be suspended by state governments. Fayose hinged his submission on the fact that the country is a federation, saying Ekiti is one of the federating units and the constitution of the Federal Republic of Nigeria is clear on what each unit can legislate on. “According to the provisions of our constitution, the state governor is the Chief Security Officer of the state and is empowered by the constitution to make laws for the good of the state through the House of Assembly. “On this subject, the Federal Government has no control and cannot interfere. This is a matter of law. “I want the Federal Government to know that we are operating a democratic system and that we are not in the military era when the government is run by decrees and fiats. “Those in the Federal Government contemplating to suspend a law enacted by the state can only be appointed by a quasi- military government and not a pure civilian government. “Let them know that the Ekiti State Anti-grazing Law has come to stay and we have no apology for that. Where were they when our farmers were being hacked down in various parts of the state? “Thousands of farmers and other innocent people have been killed by Fulani herdsmen since January this year in Benue, Taraba, Adamawa, Nasarawa, Plateau states among others. Thousands of people have been displaced. Millions of naira worth of properties destroyed. The killings have become daily occurrences. “The Muhammadu Buhari administration does not have any solution to it. The Federal Government should find solutions to the problems and not trying to reverse the gains we have recorded in Ekiti State and which is being replicated by other states where the leaders have the interest of their people at heart,” he said. It would be recalled that Ekiti was the first state to enact the law prohibiting open grazing when incessant farmers/herders classes were leading to the loss of lives.